Tami has held leasing, marketing, management, and business development positions up to and including Vice President of Property Management. Having begun her career on the front lines, she has maintained a career-long passion for staying connected to the day-to-day challenges faced by rental property owners apartment professionals at every level from the landlord with one or two rentals to the leasing professional renting hundreds of apartments. She is also a Future Marketing Technologist with a solid understanding of the complications and challenges of today’s social and multimedia internet marketing. She told me that she will help landlords who follow her ideas to NEVER have to worry about running out of qualified applicants and how to get absolute top market rent. Tami speaks not only from a rare level and breadth of real-world experience in all facets of property management, but also as an owner and developer of award winning apartment communities in four states. As President of Siewruk Development, she completed a 192-unit apartment community in Austin, Texas; and in partnership with Conine Residential Group & The Huizinga Group, developed 305 units in Dallas, Texas. She currently is even working on a small resort in the Bahamas. And the best news, is that she is going to tailor her full 3 hour training session specifically to mom and pop rental property owners and show us how to utilize the best and most effective marketing, leasing and management ideas that are being implemented by the top leasing and management professionals nationwide. Our Convention this year is all about innovative IDEAS. And we have selected the absolute right instructor to kick off our Convention. Tami was the brain child behind the Multifamilypro’s Brainstorming Sessions which is now one of the rental industry’s largest national conferences, and is widely regarded as THE annual event that leasing professionals cannot afford to miss! (Registration for that event is over $500) Tami is a frequently sought-after presenter and we are excited she has agreed to bring to this year’s Convention a wealth of ideas from her vast experience and from the many brainstorming sessions she has moderated over the years. As a bonus, she will also share a few additional and lasting insights at our first VIP luncheon on Thursday. JEFFREY TAYLOR, C. P. L.
Founder of MRLANDLORD.com, Jeffrey teaches the kind of action-oriented, practical, innovative information that greatly enables rental owners and managers to increase their cash flow and build an effective rental business that lasts and enables you to have more freedom! He serves as the host of the conference, and will share numerous suggested changes to your management strategies that will improve your effectiveness and net income as he hosts multiple training sessions all 3 days. Many of you have heard him briefly at an association meeting. Here is your opportunity to hear from and interact with him over a three day period. If you have not heard Jeffrey, click to see comments of those who have. During the convention he will also lead landlording and brainstorming sessions which is where interactive learning takes place as attendees share proven ideas from their wealth of experiences. This is one of the biggest benefits of these conventions, the opportunity to brainstorm with other landlords and property managers. Attendees and successful rental owners from across the country share management tricks of the trade and key management strategies during the special brainstorming sessions that are invaluable. Are you ready to add another layer of cash flow and professionalism to your rental business? The Rent Like A Pro team will put the focus on many of the little, yet vital things landlords can do to keep their residents performing correctly and your properties running smoothly. Their expertise is in sharing with rental property owners how they can charge fees for options and services that can help to double your rental profits and increase your ROI per unit. The numerous examples of “FEE” management will enable you to provide better service and get compensated for it. Your customers will actually come to thank you for the additional options offered. People want options and in most cases, they are willing to pay for them. As a landlord, find out what your customers want or what they need and let them pay you for it. Do not be afraid to make more money from your property, offer additional services, and use the fees to also effectively manage those who violate the lease. During this special session, learn several fee management strategies that will add to your rental management success. The Pro Team has more than 20 years of experience managing thousands of residential properties ranging from single family homes to multi unit complexes. They have taught many landlords and managers how to maximize their income from their rental units and look forward to teaching for the first time at this year’s Convention. Donna Bauer, nationally known as The Original NoteBuyer, is one of the country’s most recognized authorities on Discounted Notes, Seller Financing, and Foreclosures. For over two decades, she has shared her exclusive wealth-building strategies and helped thousands of individuals to create, build, and maintain financial freedom. Donna started out as a typical soccer mom, babysitting 5 kids for a dollar an hour each. Determined to find financial independence for her family while being a stay-at-home mom, she soon found the perfect vehicle—investing in discounted mortgages. Besides her own real estate and paper investments, Donna’s resume is quite extensive, including all areas of real estate investing, such as owning a title company, managing a commercial office park, a downtown high-rise, and several large apartment complexes. Donna Bauer encourages all landlords to have notes as part of their investment portfolio. She actually prefers buying notes over buying rental property. The reason for this is that she never actually owns the property. She owns the note. And for many investors who do not want to deal with or master the landlording challenges, buying notes offers you cash flow without the traditional landlording headaches. Since you don’t own the property, you don’t have to deal with tenants, trash, toilets, or termites. You also don’t have to deal with repairs, rehabs, contractors, or even liability claims. You don’t even have to worry about carrying costs such as taxes, insurance, utility bills, or HOA fees. In other words, you’ll have no negative cash flows, unexpected expenses, or headaches when you’re dealing with the note instead of the real property. I guess you can see why Donna loves notes. She enjoys all the security of a real estate investment without the hassles! One of the most common questions she gets asked when she talks about the security of notes is, “What happens when the borrower doesn’t pay?” She responds by saying: “You might come to an agreement with the borrower to accept the deed to the property in lieu of foreclosing and jeopardizing their credit. Otherwise, you’ll simply go ahead and foreclose, where one of two things will happen: either you’ll be paid off at the foreclosure sale, or you’ll wind up owning the property. At that point, you will have to deal with the property, but, you can often sell it for extra profit, keep it for residual rental income, or even move into it if you want. Donna will share at the upcoming Landlord National Convention, several ideas and clear strategies on how you can buy and profit from buying notes with very minimum risk. She will show every landlord how they can easily add notes (and more cash flow) to their investment portfolio. invests in single-family and small multi-family properties in Springfield, Ohio, where he and his wife raised their three children. Since 1995, Alan has done hundreds of real estate transactions. He has bought and sold over 200 investment properties. Alan uses Private Lenders, not banks; to fund his real estate purchases. By doing this, he has created his own private bank of $2,000,000 in funds. Alan uses private lenders to fund his real estate purchases. Alan looks for “win-win” situations, where the seller, the lender, and the eventual homeowner can all win. He is not a realtor, but a private investor. Alan has served as an elected official on the Board of Directors for the Clark County Property Management Association. He is an author, consultant and national speaker. He has been asked to speak nationally and internationally on the topics of investing and finding private lenders. He, teaches landlords and seasoned real estate investors how to find private lenders for their own real estate businesses. In addition, Alan has been an adjunct professor for five years at Clark State University. He Is a published author not only for Real Estate but also in American Industry. Has has over a quarter century of experience in business management.and as a business trainer and consultant. He is widely recognized as the leading instructor, mentor and coach in the area of Private Lending. At this year’s Landlord Convention, not only will teach several ideas on how to effectively obtain all the private money you need, but he will also share how you as a landlord can increase your profits by becoming a private lender. Many landlords who own single family rentals, at some point consider whether to buy apartment buildings and look for ideas on how to do so. If you have ever considered buying apartments, we are bringing an instructor to this year’s convention who has trained thousands of investors over the last decade! As an investor himself, as well as a practicing attorney, he knows what it takes to get rental property owners to the closing table. He has tons of ideas on buying multi-family buildings to share with you on this specialized investing strategy. Charles Dobens, from a young age has wanted to own apartment buildings and has gotten into it in a big way. He now owns and operates over $20 million in apartment buildings, and as an investor, attorney (and a pilot), he has negotiated over $1 billion in deals. He is bringing his multitude of experiences to our Convention and I am excited that he has agreed to share how you can buy apartment buildings and he will teach specific strategies of how landlords can indeed generate additional wealth with bigger buildings. John Jamieson is the owner of Perpetual Wealth Systems, a national wealth strategy company working with people and businesses on a better business model for automatically and systematically creating wealth. He is an expert at Wealth Creation/Preservation, Marketing, Sales and Real Estate Investment. John bought his first house at the age of 21 and went on to invest in and broker tens of millions of dollars worth of real estate. John and the team work with clients from all over North America to help them build what he calls, “Tax Free Generational Wealth”. His company specializes in showing people how to create income and wealth without utilizing stocks or mutual funds. He has spoken to hundreds of audiences all over the United States and Canada on the subjects of Business, Real Estate and Wealth Creation. John also is the #1 best-selling author of 2 books “The Perpetual Wealth System” and “Wealth Without Stocks or Mutual Funds.” John has appeared as a featured guest on dozens of radio shows. He has also written for AOL’s Daily Finance, Talk Markets and Florida Realtor® Magazine to name a few. is a nationally-known attorney, author, entrepreneur, and speaker. He has been practicing law and investing in real estate since the early 90’s. He’s been involved in thousands of real estate transactions. He has trained, coached and mentored countless people all over the Country to become financially successful and has spoken to audiences of as many as 16,000 at mega-events, sharing the stage with names like Rudy Guliani, Steve Forbes, and Colin Powell. Mr. Bronchick has appeared as a guest on numerous radio and television talk shows including CNBC Power Lunch. He has been featured in Who’s Who in American Business, Money Magazine, the Los Angeles Times and the Denver Business Journal. He is the co-founder and past President of the Colorado Association of Real Estate Investors and the Executive Director and founder of the College of American Real Estate Investors. He is admitted to practice law before the bars of New York and Colorado. He is coming to our Convention with the goal of sharing many ideas on Asset Protection. As you know, it makes no sense to increase profits coming through the front door, if you can’t prevent others from coming in the back door (or through windows) and stealing what you have worked hard to attain. Bill’s presentation on the final day of the Convention is one you must hear. Or click now to register online for the Convention. We were excited to have Toni be our leadoff keynote instructor on Thursday, May 25th at 9am. She shared tons of secrets that are utilized by leasing professionals and property managers as she conducted a 3 Hour, totally innovative, out-of-the box training on Leasing, Marketing and Resident Retention, all aimed at increasing your cash flow as a rental property owner. In addition, for those participating in the VIP Luncheons, Toni presented an entertaining, eye-opening, bonus session during the VIP lunch hour on Thursday. We are excited to have John Schaub a legend in the real estate industry as our lead-off keynote instructor. John Schaub has survived and prospered during four recessions, five tax law changes and interest rates ranging from 4-16% in his 35 + years as a real estate investor. Through his writing and teachings he has assisted more than 100,000 real estate enthusiasts on their way to successful investing. John also invests his time helping those who cannot afford to buy a home through conventional sources through his work with Habitat for Humanity and the Fuller Center for Housing. John has served as the chair of the International Board of the Fuller Center for Housing and served for more than 20 years on the board of Sarasota Habitat and 7 years on Habitat’s International Board. John, a Florida native, is a graduate of the University of Florida, where he earned his B.A. from the College of Business Administration in 1970. He is a 2000 hour instrument-rated pilot, who has owned and flies his own plane. He enjoys skiing and sailing. John and Valerie, married for 37 years, enjoy traveling the world to visit their three children and three perfect grandchildren. Ron LeGrand ‘s entire business model is centered around the theme of this year’s event – Do Less, Make More! Ron has helped make more real estate millionaires in the U.S. than any other person I know. I am excited that he has agreed to share from his wealth of experience at our Convention. It has taken us nearly 5 years for us to get him to join us. He is called by some “The Godfather of Real Estate” and also known as the Millionaire Maker. Ron is an internationally recognized trainer with 35+ years experience in both residential and commercial properties. His experiences include personally buying and selling nearly 2,000 single single family houses (and still does so), numerous real estate developments across America with market values exceeding two billion dollars, all under his control. His properties include office buildings, industrial, commercial, mixed use, luxury condominiums, marinas, etc. Mr. LeGrand is a highly sought after speaker who has addressed audiences as large as 20,000 in convention centers across North America, sharing the stage with the current and past presidents, movie stars, actors, politicians, sports heroes, business leaders, super wealthy from all professions and some of the best speakers in the world. He has helped thousands of individuals take control of their financial lives and create financial freedom by implementing his systems for success as real estate investors. Ron, who has been married for 50 years, gets great pleasure teaching good people who are serious about maximizing their financial future for themselves and generations to come and most importantly who will do what it takes to become one of the 3% who can really say and prove they have achieved true wealth. At our Convention, Ron will share multiple cash strategies that can put thousands of dollars of added income in your pocket not only in the next 90 days, but for years and decades to come. Come learn from his strategies and systems from the master at doing less and making more! Since 1981 Walter Wofford has been an active real estate investor in the Jackson, MS area. Walter specializes in developing passive income by creating tax free net worth and cash flow through seller financing in the affordable housing area. These methods combine note creation, IRA and Retirement Account investing with Trust Entities and by doing so creates cash flow and builds his net worth plus creating profits for both today and in the future . . . tax free. Walter is also focused on Improving his local community with Affordable Housing for 1st time Homebuyers in the Jackson Mississippi Area. Walter also teaches others how to help tenants become homeowners by creating short term discounted Seller Financed Notes with Trusts and IRAs for cash flow and wealth generation. During his career, Walter has bought and sold over 1000 houses and renovated entire neighborhoods in the central Mississippi area. Combining wholesaling, retailing and IRA investing provides an unbeatable strategy for today’s liquidity crisis . . . and it can be successfully used in all areas of the country. Walter will be speaking twice during the Convention and also leading late night round table exchanges. His presentation topics include: How to Buy Low Income Property and Create Huge Cash Flow Stream and Selling Rental Property By Converting Tenants to Homeowners. If you are ready to really start doing less work and put on your thinking caps and make MUCH MORE, by creating a huge passive income stream that will last for generations, then Walter’s presentations alone are worth attending this year’s Convention. ​John Hyre is a nationally-known attorney who speaks frequently on the taxation of real estate and self-directed IRA’s. According to our surveys, his information and style of teaching was most appreciated at last year’s Convention’s and we are thrilled that he has agreed to speak again. During this year’s Convention, we specifically have asked John to address the New Tax Laws, and how landlords can take full advantage of them. John shall present on how the new tax law massively favors real estate investors. He will focus on the “Pass Thru Deduction” (Read: 30% off on taxes for most landlords), new corporate tax rates (Read: Works like an IRA with less savings but fewer rules), and how to write off 15% of each new rental property. You read correctly: The new law allows you to write off roughly 15% of each rental acquired on or after September 27, 2017. we’ll discuss! John will also be leading an after hours round table discussion where he will make himself available to answer all your questions regarding the new tax laws and he won’t be charging his normal rate of $400 an hour. He will be sharing with us what we need to know, how we need to prepare moving forward, including warnings and how to best structure your rental business to maximize your tax savings. Plus he will cover why pay taxes at all? He will discuss IRA’s, HSA’s and HRA’s and discuss what your friendly neighborhood tax attorney has been doing in his 401k. Big fun! If you own rental property, you will not want to miss his highly informative sessions. Al is a retired professional engineer, full-time real estate investor, author and trainer He began investing in 1996. Al is best known for publicly documenting his quest to create enough ancillary income to cover the 1st mortgage of his eight-unit apartment building (which he accomplished in September 2015). Please note that the ancillary income does not count the traditional rents. This is income above and beyond that. Thanks to the strategies he uses he was able to greatly surpass and retire from his engineering job. He is a proud family man who now spends his days managing and expanding his corporate housing business in Sacramento, California. He is now documenting his quest to develop an additional $10,000 in additional monthly income from rentals he does not even own, through the power of short-term rentals. Al has spoken at prior Mr Landlord events on the topic of AirBnB. Trust me when I say Al has literally grown his business 5 to 10 times in the last 5 years. He has taken his rental-income building strategies to a whole new level and likewise now does AirBnB rentals on a whole new level. And the good news is that Landlord entrepreneurs can do what Al is doing in any state, and develop a massive rental income stream debt free: And he has documented exactly what he is doing as proof and is doing it in the public arena where others are literally watching him doing it. At our Convention he will share exactly how you can triple your passive rental income, replace your 9 to 5 income and massively build up your retirement savings. Less maintenance costs, less headaches, less if any debt and more Cash Flow! Come see what Al is doing like you’ve never seen him before! Kimberly Smith is an accomplished entrepreneur and published author with more than 20 years experience as an entrepreneur in the areas of real estate, property management, corporate housing, website development and franchising. Inspired to help landlords looking for nontraditional ways to reach the corporate niche marketpeople on a national basis, Mrs. Smith co-founded CorporateHousing by Owner.com (CHBO), the first-of-its-kind online portal connecting furnished rentals and the traveling public. Kimberly is a recognized leader in the corporate housing industry. Kimberly has been nationally recognized for her business success and and has been featured in the NYTimes, US News & World Report, MSNBC.com, CNBC and SmartMoney.com. Kimberly is making a return visit to our Convention and will share her unique niche in the rental industry and how you can double or triple the annual income from your rentals by thinking outside of your normal rental box and changing the residents you target. Brad has been landlording for over 35 years, logging over 21, 250 lease months, 300+ court evictions, and 1,000+ court appearances, and is President of Bartholomew County Landlord Association. He is one of the most successful landlords in the country and top contributor on MrLandlord.com Q&A Forum. Many of our website visitors come just to see Brad, who was ranked as one of the top instructors at two previous Landlord National Conventions. For this upcoming event, I have asked Brad to reveal at least 5 to 10 of his most non-traditional landlording strategies which generate for him the greatest cash flow especially during the pre-screening and leasing process. And to truly break it down step by step so that those in attendance will be able to also implement the same strategies. So at this year’s Convention, he will share some of his most Do-Less-Make-More ideas that enable he and his wife to make more income and have more FREEDOM year after year! Steven always sparks a fresh excitement at previous Conventions and we have asked him to join us again this year. So many landlords are currently trying to build their real estate business without using technology. In fact, many if not most traditional landlords are quick to come up with excuses on why they are not more fully using technology in their landlording business. Steven is set to give a training that will change your ability to use technology to maximize your time, your effectiveness and your profits. Steven was raised by his single mother in a one-bedroom apartment in New Jersey. He grew up with one simple dream: he wanted to live in a house. Steven took that dream, rolled up his sleeves, and has purchased dozens of income producing units since 1999. Steven will give you no excuse on why you are not using technology to a greater degree to improve your cash flow and your business! Hold on to your hat and get ready to take many notes in Steven’s fast paced session of many creative ways to use technology and virtual assistance to grow your rental business. Steven’s presentation is guaranteed to show you how to Do Less and Make More! Steven lives an energetic and abundant life thanks to the freedom his real estate investments have created. He enjoys educating others to increase their financial freedom. Gene Guarino, CFP and the Founder of the Residential Assisted Living Academy will share with you the best ways to invest in and take advantage of the opportunities in assisted living and senior housing/. Gene will reveal how to net $5,000 to $10,000 net cash flow per month from a single family home. Guarino has been investing in real estate and businesses for over 30 years and hass trained tens of thousands of investor / entrepreneurs over the past 25 years, and now specializes in helping others take advantage of the assisted living mega-trend opportunity. Real estate investors in all fifty states, across Canada and fifteen foreign countries including as far away as Australia and New Zealand. 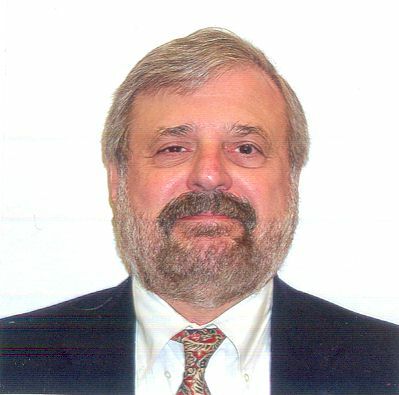 have long regarded the training, systems and leasing forms presented by Louis Brown as the some of the best in the industry, Quoted as an expert by many publications and authors, “Lou” draws from a wide and varied background as a real estate investor having been buying property since 1976. He’s invested in single-family homes, apartments, hotels, developed subdivisions and built and renovated homes and apartments. Each of these experiences has given him a proving ground for the most cutting edge concepts in real estate today. He’s widely known as a creative financing genius with his deal structuring concepts. Being a teacher at heart he enjoys sharing his discoveries with others. He has served the industry in many volunteer positions such as past President and designated lifetime member of the Georgia Real Estate Investors Association, He is also founding President of the National Real Estate Investors Association, which serves as the umbrella association of local investor groups. Husband, Father, Author, Lecturer, Inventor, Investor, Builder, Designer, and Real Estate Expert are all descriptions of this exciting trainer. Lou has agreed to do a special training at this year’s Convention that he normally only does for those attending his advanced trainings and has never done before at our event. He will do an entire training on rental clauses and what he includes in his lease to help make him make more money, protect his assets and stay in control. In a bonus session, he will also share secrets on how to sell your most problematic rental homes in a matter of days, not months, and earn even bigger profits on them than you thought possible. He will definitely take you outside the box to generate cash flow. Yeah Baby!! If you are looking for a way to increase your bottom line and therefore cashflow, David Krulac will show you something that every landlord should consider doing, though most do not. David will teach you numerous strategies to contest your property assestments. More and more landlords have discovered this most often under used strategy. And more and more are winning and lowering their property taxes. However, still the vast majority of rental owners don’t even try and miss out on this opportunity to save thousands of dollars over time. David, who is a successful real estate investor and author of How I Started With Nothing and Made $12 Million in Real Estate Part Time, has successfully contested hundreds of property assessments. One year alone, he appealed 65 properties, and have appealed assessments for many years in multiple counties. At this year’s Convention, he will share several proven strategies oh how landlords in any state can effectively challenge their property assessments and win! Scott Meyers will make a follow-up appearance to our Convention as he reveals more with our attendees regarding the hottest sector of commercial real estate over the past 25 years, that almost no one landlords are utilizing to add to their cash flow. Scott thinks outside the traditional cash flow box by investing in small commercial properties, self storage units. Scott has been teaching landlords and investors the real-world ins and outs of identifying, negotiating, buying, managing and building wealth in real estate without the hassles of tenants and toilets for over 15 years. Scott became became a real estate millionaire amassing a portfolio of over 400 single family homes and apartments. However, he had very little cash flow to show for it. His goal of wanting to obtain true financial independence led him to dumping all his single-family homes, apartments, and office buildings and all his tenants and toilets. His life and the lives of his entire family tree changed when he started by investing in Small Commercial Properties. He now enjoys all the benefits of owning real estate without all the risks and hassles, the average landlords face as they deal with needy tenants and leaky toilets. At this year’s Convention, Scott continues his training of how to acquire properties in any area with no money down, the safe way, and how to manage from afar by implementing the multitude of new technologies available in this exploding sector of Commercial Real Estate. Joe invested in his first property at the age of 19, and learned the importance of using outside the box financing to make the deal work. Since then, he has created and brokered more than $30 million in note transactions on residential and commercial properties. As an author, speaker, and trainer for the past 25 years, he believes that there has never been a greater opportunity for real estate investors to use non-performing notes to acquire properties and seller financing to cash out. We welcome Joe to his first Convention appearance. We are excited that Joe will share with attendees how to to create multiple streams of passive cash flow that fuel your lifestyle all through retirement (He’s not talking about passive income as the traditional landlord knows it). Joe teaches the sneaky “back-door” method to buy properties in your area at just 20% – 50% of today’s fair market value, and he’s talking about good homes in good areas. Add to this a simple investing twist that takes you out of the ‘tenants and toilets’ game. Joe will show you step-by-step how to get involved with real estate-backed notes, just in front of this profit tsunami and ride this wave for years to come. In addition, Joe teaches is a completely innovative way to sell a home so that you enjoy cash flow payments for years. LEARN HOW THE BIG BOYS DO IT! We as mom and pop landlords can learn so much from the big boys. When it comes to filling vacancies and maximizing income, larger apartment owners and property owners must utilize numerous innovative strategies to keep all their properties filled and maximize their net income. For the big boys, this is a business. And for our upcoming Convention, we are bringing in one of the absolute top trainers in the apartment industry to teach us how to maximize our income like the big boys do it. One of the most requested and celebrated speakers in the country, Lisa Trosien is consulted as an industry expert by major publications in the United States. This includes the Wall Street Journal, Newsweek, national Public Radio, Associated Press, Chicago Tribune, the Washington Post, and the Atlanta Journal Constitution. Lisa is an award winning, educator and consultant with 25 years of rental industry experience in virtually every style of apartment community and resident profile. Her column, “On Site Solutions” is featured in every issue of UNITS Magazine, the official publication of the National Apartment Association. She is co-author of the NALP designation program through the NAA, as well as a contributing curriculum development consultant for CAPS, CAM and CAMT. Lisa is seen as the best of the best when it comes to instructing the rental industry. With a consulting client base from the US and other countries, this rental industry professional educates thousands of leasing agents and property managers each year. And for the first time we are so excited to welcome her to the Mr Landlord National Convention. Thus is truly a Landlord Convention unlike any other. Lisa will she share the latest secrets that up to now only the Big Boys are doing to increase their net income! Time to increase YOUR income! Chris McClatchey owns several Real Estate Investment Companies and a Real Estate Brokerage in Florida. Chris is an investor, Realtor, real estate educator and an attorney, first practicing in Ohio before moving to Florida. As an Investor, his companies have purchased real estate all over the United States. In the last few years, he has increased his rental portfolio by over 80 rental units, adding another $5 million dollars in value (half with 0 seller financing). He will soon be able to retire with over 100 free and clear properties. Chris believes that everyone is capable of better managing their time, money and investments. We are excited to have Chris join us for our Convention.. He is a nationally recognized real estate trainer who teaches individuals from beginning investors to seasoned professionals, how to build and maintain real wealth through the use of real estate investments, both single family homes and apartments. Chris prides himself on the ability to educate individuals on how to build multi-million dollar real estate portfolios by making changes to the way you make real estate offers. Those changes can adds tens of thousands of dollars (or more) to your bottom line through the use of creative financing techniques, private lenders, partnerships and retirement accounts. Mike Butler is definitely an individual who is willing to make changes. He began his real estate investing career while working his full time job as an undercover police detective in Louisville, Ky. Mike Butler began buying fixer uppers and renting them to make extra money vs. working “off duty” moon light jobs like many of his fellow police officers. Mike discovered very quickly how powerful investing in real estate could be for his family and exploded his real estate business by buying an average of 2.5 rental properties every week while working his full time job! Mike did this for several years over and over WITHOUT using any banks and he started with less than $1,000. He also learned how to automate his management system. Mike Butler knew he must have a brain dead simple system for his booming business and developed his amazing Landlording on AutoPilot System. His unique and proven system allowed Mike to safely catapult wealth for his family by investing in real estate. Now Mike Butler works when he wants to – as a Dad, a hubby, an investor, speaker, author, coach and trainer. Mike’s investing success has been featured in Money magazine, The Wall Street Journal Radio network and numerous radio shows. His Landlording on Auto-Pilot system has become one of the top “go-to-training” reference for thousands of landlords and property managers. Mike Butler enjoys training millionaires and future millionaires and he will be one of our featured instructors at this year’s National Landlord Convention. Mike Butler is a two term past president of KREIA a charter member of the local chapter of NARPM, served three years on the board of the National Real Estate Investors Association, and is a supporter of The Home of Innocents, a great organization to help disadvantaged abused and neglected children. When industry leaders like Robert Kiyosaki and Tony Robbins need a no-nonsense, in-the-trenches financial and real estate wizard to teach at their events, they go to John Burley. With more than 1000 completed real estate deals and a portfolio which includes more than 300 properties, stocks, and businesses, John has the perfect mix of street-savvy knowledge and sound investing principles. In fact, Robert Kiyosaki says that John is “a savvy investor who not only has a grasp of solid financial principles but also a keen awareness of the psychology of investing” (Rich Dad’s Cashflow Quadrant). John is an International Best Seller of two books “Money Secrets of the Rich” and “Powerful Changes”. With a workable plan of action and tons of desire, he used principles of cash flow to build his business and his personal wealth. In fact, by the time he was 32, he realized he could retire. and live the easy life… When John started teaching the exact step-by-step formula he uses, people like Tony Robbins invited him to speak in front of millions at his workshops. John’s style of teaching is so practical you can immediately use the information he shares. And because John is a professional investor, he makes his living actually DOING deals and not just teaching theory from the stage. He will share with vital changes you can make to increase your net wealth. John walks his talk. For this reason, he rarely appears at events or seminars these days. However, I’m pleased to announce that, because of our long time relationship (I have spoken at numerous of his boot camps over the years) he has agreed to teach at this year’s National Landlord Convention. And he promised me that he would teach the “advanced” stuff that he teaches to those who pay thousands to attend his bootcamps. Cynthia and Gary Schmidt are the nation’s leading trainers on collecting on unpaid judgments as well as popular national real estate speakers. The Schmidt’s are on a mission to train the nation’s landlords on how to collect all the money they deserve. The Schmidt’s have been successful in collecting over 90 satisfied judgments representing themselves in court. That is over $250,000 that the majority of landlords would have walked away from. They have been landlords for over 20 years and realize how important collecting all the rent is to your landlording success. After listening to Gary & Cynthia, you will have no excuse on why you are not following up and getting your money from former residents. You will learn several avenues on how to collect the money due you! Erica Gunnison brings a whole different level of property management expertise to our Convention. She has made property management her career for the past 20 years. Directing daily operations and asset management for thousands of rental units throughout the United States. With years of proven expertise in:Multi Family and Single family New Construction and Renovation, Student and Military Housing, Conventional and Affordable housing, Section 8 and LIHTC, residential, commercial and retail and property types A- D.
Erica enjoys sharing her knowledge and helping both owners and property managers take the operation of their assets to the next level. Erica will reveal some of the things that she passionately shares with property managers and owners around the country as she is called upon to evaluate the operation of all size properties, especially those that are under performing.Whether your properties are self-managed or by third party you’ll get the benefit of the professional management mentality of someone that has been working with the country’s top fee managed and owner management companies where high level expectations, efficiency and transparent operational systems are a MUST! Ms. Gunnison will help you do an “operational” check-up of your rental “business” and offer recommendations for improving occupancy levels, resident return and controlling delinquencies. When you finish listening, you will have no excuse for not having additional, effective ideas on how to fill your vacancies, keep residents longer and more collected rent.Plus she’ll share tips on how to work more effectively with property managers,for those who have, or considering adding, a manager as part of your success team. Jim Ingersoll is a successful real estate entrepreneur who has bought and sold hundreds of houses. Also a Class A contractor he holds a BS in Electrical Engineering and a Masters Degree in Engineering Management. Jim resides in Richmond, VA. He has been married for twenty-four years, is the father of two daughters, and he enjoys speaking at real estate events and seminars in hopes of helping others achieve financial freedom. Providing financing solutions to challenges many investors face today, instructor Jim Ingersoll will share his wealth of experience to using real estate to create abundance and prosperity (without the need for banks). He demonstrates that there are a number of options available for those willing to learn! Tony has been a full time real estate investor since 1998. He owns numerous rentals of various types. His expertise is in flipping and rehabbing properties, actively investing in 30-45 properties a year. He has closed over 400 deals. Tony has been featured in national publication for his investment strategies and he has been a landlord of single-family homes, commercial properties and owner of large apartment complexes, At our Convention, Tony will share several of his Flipping and Rehabbing strategies that have helped him make over 7 million dollars in 4 years. If you want to learn more about how to FLIP houses for profit, you will have the opportunity to learn from someone who has been successful doing what he talks about. His rehab tips can also help you save hundreds of dollars with your current rentals. And he wants to help you have no excuse on why you can’t add to your real estate cash flow and fortunes by flipping and rehabbiing properties, and do so in a faster period of time than you may have thought possible. Author and instructor Joseph Nielson teaches step-by-step instructions for a lifetime of PROFITS! Joe is the author of one of the most popular books currently on the MrLandlord.com website. His book is titled BUY & RENT FORECLOSURES. In 2005 Joe was 61, no job or pension, with Social Security still five years away. He needed steady monthly income NOW! Cash flow was the priority. He searched for a real opportunity, not a get-other-people-rich charade. Almost by chance, he bought a rental house…easily the best decision he ever made. Seven years and 62 houses later, he makes $22,000 a month and has $3 million in equity! This seventy-nine year old West Virginia transplant has been a fixture in the housing market in Northeast Ohio over the past forty years. Having purchased his first investment property (a duplex) in 1968, his experience has been long and varied. Kent continues to invest in Real Estate and today owns 167 rentals. In addition, Kent owns and manages 8 commercial properties. Kent has taught real estate as well as working with the Section 8 program as part of the new voucher seminars. He is also recognized as one of the most knowledgeable people in regard to the Section 8 program and will share how to overcome common challenges with the Section 8 program at the Landlord Convention. David is one of the absolute top landlording instructors in the country. This is indeed one of those unique opportunities to learn from the real deal, one of the best. He started buying houses in 1978. David fully understands that the key to long term success was, and still is, good management. David has spent 30-plus years learning property management from the most knowledgeable managers he could find. David will share his secrets of success for the single-family investor and will help you implement them yourself. He will give Convention attendees specific tools to make your operation more efficient. It will teach you how to reduce stress, increase cash flow and find more time for other pursuits. His management philosophy has always been to treat his residents the way they would like to be treated, while maintaining strong controls to assure maximum profitability with a minimum of hassles. He continues to manage our own rental portfolio, as well as “master lease” single family homes of other owners and investors. He collects ALL his rents prior to the first of each month and he has experienced only one eviction in his entire management history. Most of his residents rent for multiple years, including as long as 18 years and 25 years. Using a hassle free system, he has properties in two states and he is able to manage his Colorado properties “long distance” from Florida or wherever he happens to be. His management procedures will enable you to streamline day-to-day operations to maximize the bottom line. Steve Cook is a successful real estate investor whose deep faith and love of mentoring has called him to a life of teaching others how to improve their lives and secure financial freedom through real estate wholesaling and rehabbing. At our upcoming Convention, Steve will teach about Debt Free Investing. Steve made the decision to stop borrowing money in 2006. This had a major impact on Steve’s real estate investing business which revolved around borrowing. At the time, Steve was $4.5 million in mortgage debt and decided to stop borrowing, cold turkey. In order to continue investing, it wasn’t a matter of coming up with “no money down” techniques, that was easy. It was a matter of coming up with “no payment” techniques to investing. Steve came up with a 4-prong approach to investing without borrowing and incurring payments. Over the years he has helped others to develop similar business models. Steve will share how he has been able to continue investing without borrowing any money. He’ll teach you how you can end up with free and clear property without borrowing a nickel. The strategies that are shared are practical for today’s market. Steve will reveal concepts and strategies that can change your life! 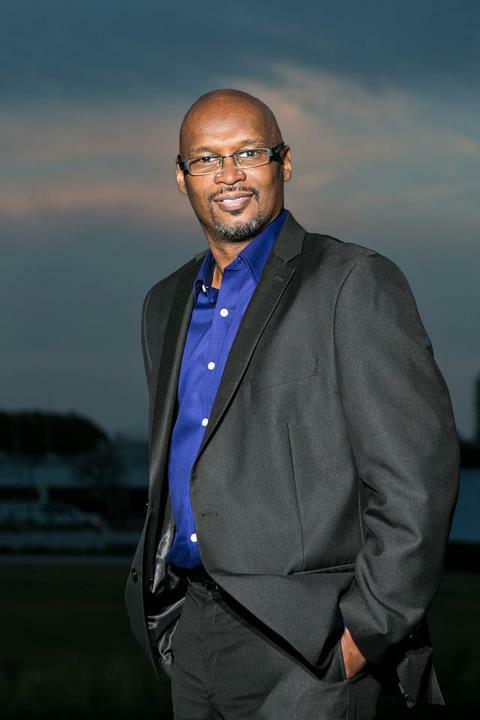 Charles Blair, “The Mad Scientist”, is a published author, national speaker, consultant, real estate investor, and founder of Page One Success. He is widely considered as one of the nation’s top internet marketing experts. His insight and ability to apply cutting-edge marketing strategies, client attraction techniques, and lead generation strategies has made him a highly sought after consultant and speaker. His skills are exhibited at internet, social marketing, and real estate investing seminars across the country. Charles has an extensive list of real estate clients that he works with, including countless landlords, real estate professionals, business owners, and entrepreneurs across the country. How To Increase Your Online Capabilities and Dominate Your Online Presence With A Shoestring Budget. Why Craigslist is a goldmine for real estate investors, yet most are still doing it wrong. He will show you a step-by-step blueprint to get all the Craigslist leads you could handle. What makes a GREAT lead generating website and why your current website is WRONG. How to get your real estate and rentals not only on the first page of Google, but how to take over 3, 4, even 5 spots of the first page. What the best resources for rental property owners and real estate professionals are online and how to make them work in your real estate business. Can Facebook be a real source for real estate leads, and if so what’s the plan? How to track and measure your online marketing success without having a PHD in math. Why text message marketing should be a tool in your real estate marketing tool kit, and how best to use it for pennies on the dollar. Anthony Chara is a seasoned real estate investor that has successful investing and property management experience dating back to 1993. After 16 years working for a fortune 500 company and traveling extensively it was time for a change. Mr. Chara gave up his lucrative Area Manager position in which he managed 35 electronic technicians in 7 states and had a $3M budget so he could spend less time traveling and more time creating wealth for his family. He started and sold several service-oriented companies until turning to Real Estate investing full time in 2001. Mr. Chara turned to Apartments full time in 2004. He owns and/or has syndicated approximately 1300 apartment units around the country. These units range from 14 rentals in 1 complex in Oklahoma to 179 rentals in Indianapolis. His most recent acquisitions include a 140 unit complex in Jackson, MS (July, 2010), a 120 unit complex in Nacogdoches, TX (November, 2011) and a 4-complex package totaling 410 units in Indianapolis, IN (December, 2012). In 2005, Mr. Chara decided to capitalize on recent RE market trends to offer superior technical training to RE Investors specifically targeting commercial investing with an emphasis on Apartment complexes. Mr. Chara’s techniques teach people how to become wealthy ‘deliberately’ using Apartments to generate massive cash flow and ‘forced’ appreciation. Having reviewed several other gurus in the marketplace that specialize in Apartments, he set out to design and implement the best quality Apartment Investing training in the market today. 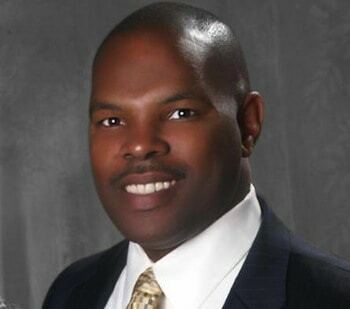 Presently, he’s the managing partner of Apartment Mentors, LLC and founder of Success Classes, LLC. He has owned or managed several successful multi-million dollar companies during the last 20+ years. Mr. Chara owns properties in Arizona, Colorado, Florida, Indiana, Iowa, Louisiana, Mississippi, Nevada, Oklahoma and Texas. He has mentored several thousand aspiring RE investors. Mr. Chara also volunteers and supports several worthy charities such as the American Red Cross, Denver Rescue Mission and Habitat for Humanity. What a lineup of speakers, I think this conference is getting better and better. I have been to about 5 of them and think this might the strongest group ever. I have been in this business since 1981 and know I will benefit from this conference. Can’t wait to start absorbing information on how to make my full time business better and better.